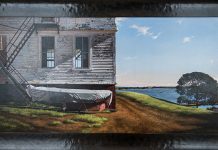 The work of the late painter Stan Murphy of West Tisbury will be presented in a slideshow this coming Sunday, April 1, at 4 pm at the Grange Hall in West Tisbury. Tickets, which were free, for “Celebrating the Art of Stan Murphy,” are sold out. The program will be shown in a slightly edited version for students at the West Tisbury elementary school the following day. 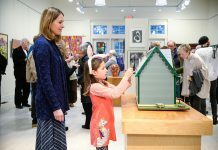 David Murphy, a librarian in Duxbury, the youngest of Stan’s four children and 1972 graduate of Martha’s Vineyard Regional High School, assembled the show from various sources. He is using photographs and slides from his father’s collection, and he photographed paintings owned by family and friends. He said that both the Granary Gallery’s Chris Morse and the Martha’s Vineyard Museum contributed photographs and slides. He estimates there are 500 slides in the show. Mr. Murphy will give a talk while presenting the slides and his son, John Murphy, Stan’s grandson, a 17-year-old senior at Duxbury High School, will provide background music playing his grandfather’s 1933 Martin 0017 guitar. 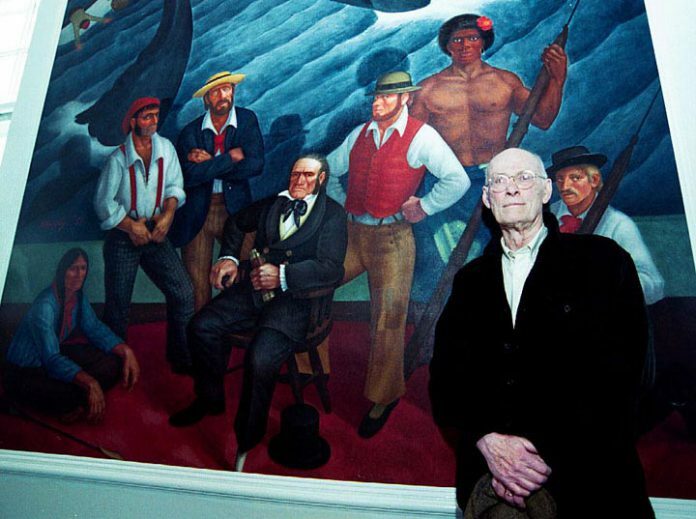 Stan Murphy was known for his iconic oils of Islanders and Vineyard landscapes. His self-portraits are among his most recognizable paintings. He painted the four murals of Vineyard scenes on the walls of the Katharine Cornell Theatre in Vineyard Haven. These murals capture some of the Island’s history with scenes of the Wampanoag Vineyard creation story, a whaling scene, a day at the beach, and a scenic view of Menemsha in the winter. John Stanley Murphy was born in St. Paul, Minn., in 1922. In 1946, after four years of service in WWII, he attended the Arts Students League in New York City, where he studied graphics, not painting. According to David, while living in New York, Stan discovered Brueghel, Rembrandt, and other old masters in New York City’s museums. Stan was primarily a self-taught portraitist and landscape artist. Stan’s wife, Polly, suggested they try Martha’s Vineyard, where she had spent her childhood summers, as a better place to live and work than the Hell’s Kitchen section of Manhattan where they were. The family: Stan, Polly (pregnant with Laura), and toddler Chris moved to Martha’s Vineyard in 1948. Stan painted on the Island for more than 50 years. He worked for years in a small studio behind his house on South Road in Chilmark. He would show his work in the gallery next to the house, most recently the home of Gossamer Gallery, located in front of The Grey Barn and Farm. 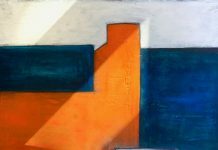 The family moved to Middle Road in West Tisbury in the 60s, but he continued to show his work at his gallery just about every two years until his death at age 81 in July, 2003. Stan kept his own lobster pots, played golf, and played piano and guitar. A duck hunter and decoy collector, he wrote a book on Island decoy carvers, “Martha’s Vineyard Decoys” (David R. Godine, Publisher, 1978). Long since out of print, it is a rare and highly prized book among collectors. David said that he is willing to consider a repeat performance at a later date, but he does not know when that will be.